Heavenly blog! : No. 1626: When "Pastor" Jan Aage Torp and "Apostle" Jan Hanvold warn against sexual sins, everything appears to be hollow, pathetic and ridiculous as they literally sit in the glue of being reprisaled as believers! No. 1626: When "Pastor" Jan Aage Torp and "Apostle" Jan Hanvold warn against sexual sins, everything appears to be hollow, pathetic and ridiculous as they literally sit in the glue of being reprisaled as believers! When "Pastor" Jan Aage Torp and "Apostle" Jan Hanvold warn against sexual sins, everything appears to be hollow, pathetic and ridiculous as they literally sit in the glue of being reprisaled as believers! 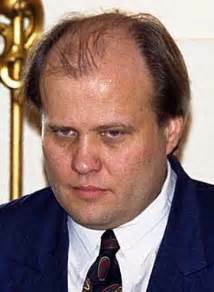 Picture of Narreapostel Jan Aage Torp who warns everyone against all sins he is able to get on. But his own sin, he is silent about it! It is unworthy, disgusting and direct in accordance with Satan's will that a permit bears up to proclaim the word of God.It's as we allow Satan to operate freely in the church of God when these people are people who obviously live and walk in the dark!